Lavelle & Associates was founded in 2014 by Tim Lavelle, CPA after several years of working in the public accounting industry. His extensive experience with tax preparation, planning and research has made him an expert in the tax field. In addition Tim has started several companies and is familiar with entity selection and start-up processes. Lavelle & Associates, CPAs are experts in Tax, business consulting, bookkeeping, and payroll. Lavelle & Associates is experienced with all aspects of the cannabis industry related to accounting. Our expertise with federal and state tax laws will help to keep your operations up and running giving you peace of mind. Our experience in this field will allow us to give you the best value for these services. We guarantee you will appreciate the way we do business confidentially and with integrity. 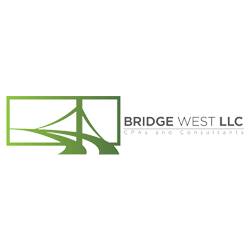 Bridge West is an accounting firm focusing solely on the cannabis industry. From preparing audited financial statements to minimizing the effects of IRS 280E, our services address the industry’s unique and ever-evolving issues.